Now available 2/8/2018.HUD case #351-629746 is now on the market at todays amazing price of only $110, 000.For owner occupant buyers for the 1st 15 days.Bid deadline is 2/17/2018 at 11:59 PM CST, then daily until sold.Fantastic offering on this HUD owned home in Willingboro.This super single Colonial home is INSURED w/ESCROW REPAIRS. ELIGIBLE FOR FHA 203K. 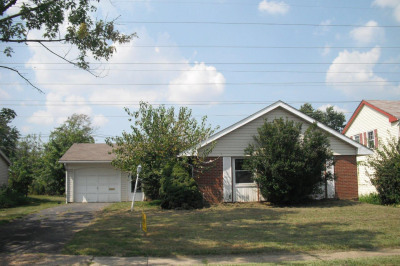 (Repairs TBD by buyers lender) for FHA 203b-IE loans to qualified buyers.203K eligable. All offers are encouraged and will be reviewed.Do not be bashful to place an offer.This property will be sold quickly and to the highest NET bidder. Property being sold 100% AS IS.No exceptions. "EQUAL HOUSING OPPORTUNITY".Mortgage buyers must have a written pre-approval from a recognized lender prior to placing any bid.Naturally all cash buyers or conventional mortgages are welcome from those who qualify.HUD does NOT pay any transfer taxes or city C/O's.All at buyers expense.HUD is not involved in any grants or first time buyer programs.Keep in mind, high net bid wins and everyone else loses, so make your appointment today.For Qualified Buyers there is $100 down payment program on HUD Homes financed with FHA-insured financing to qualified buyers. "AS-IS" policy on all HUD OWNED HOMES.Sold by electronic bid only.See hudhomestore. com.Buyer to verify all information.Please refer to the attached BLB Resources disclosures/addenda. AGENT & BUYERS MUST READ prior to placing a bid.$100 DOWN PAYMENT NOW AVAILABLE)TO QUALIFIED OWNER OCCUPANT BUYERS.FHA 203K ELIGABLE.Does NOT apply to investors. THIS IS NOT A MIS-PRINT.Without a doubt, one the best financing programs ever offered for FHA financing to qualified buyers.Super value in the Garden State.Less than an hours drive to the Jersey Beaches or New York City.Work in Phila? A short drive to the Tacony-Palmyra Bridge or the Burlington Bristol Bridge connecting with I-95 & Bucks County.Work in Center City Philadelphia? Park your car and take the River Line.Now here's the really amazing part of this HUD listing. Today's price of $102, 000. Most likely will sell for thousands over the asking price. LBP. Built in 1961. 1722 SF. LBP. 6, 500 SF Lot. The $100 down FHA/HUD program won't last forever.Get out of that apt. & into this great Colonial home in time for the SPRING. Call for details about the $100 down program.Eligible for FHA 203K 2 story Colonial. NO HOA FEES. Last sold for $244, 000 in May, 2007.On sale today for $110, 000. Investors get ready DAY 16 if still available.